Every year before domestic leagues kick-off, football fans begin their rituals. Checking the fixture list and the dates of the derby; monitoring pre-season training and friendlies wondering if players will be ready for opening day; reading transfer rumours and wondering whether new signings will fit in, patiently waiting to see if the club are going to bring in more players...or in the case of my team, if they are going to sign anyone at all! 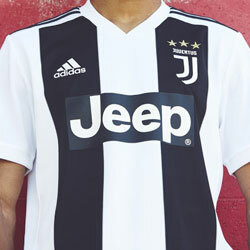 Yet for some fans, like me, pre-season also means the announcements of new kits for the coming season and the ensuing debate of whether it is the worst shirt a club has ever had or not. The shirts from some of Europe’s biggest clubs are always highly anticipated and in a lot of cases this is with good reason. This year we have already seen Atletico Madrid, Bayern Munich, Inter Milan and Manchester City release some stunning shirts. These shirts get snapped up by fans around the world, as they look to show their support not only for the team but also for their favourite player. 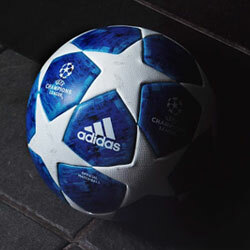 I’m sure there are a lot of fans playing 5-a-side football wearing Barcelona shirts, hoping to score a Messi-esque goal. However, the ‘Big 5’ European leagues can not lay claim to all the best shirts in action this season. 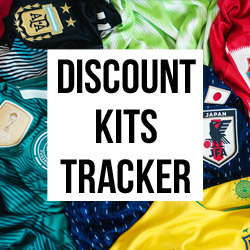 If you love a good football shirt it might be worth looking around Europe’s other leagues, as there are plenty of hidden gems. 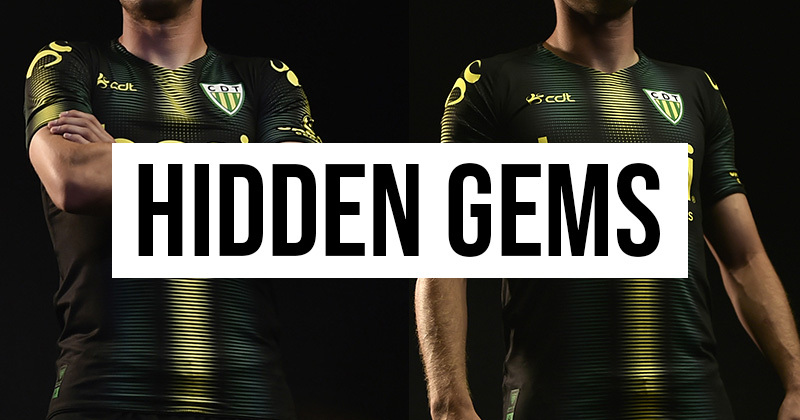 In this series we are going to travel around some of Europe’s smaller, less well-known leagues to see some of the beautiful shirts you may be missing out on. We start in a country that is very close to my heart… Portugal. 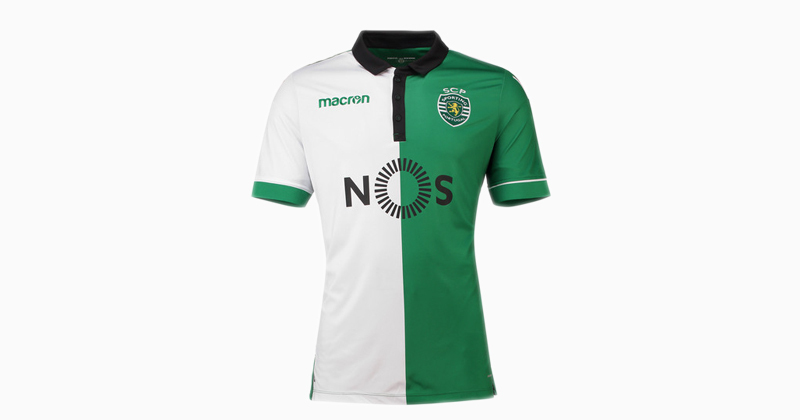 Here are my top 7 shirts in this season’s Portuguese Primeira Liga. 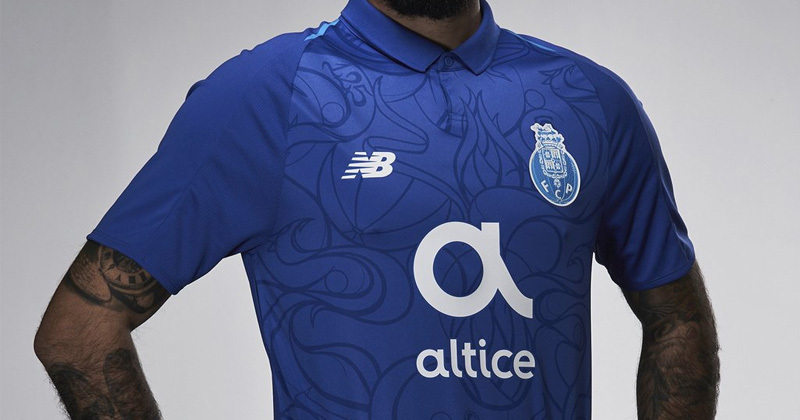 FC Porto’s third shirt celebrates the club’s 125 years of existence and what a shirt to celebrate it! Simply stunning! New Balance worked with Porto street artist, Hazul Luzah, to come up with a shirt that is truly unique for the club. Hazul used the club’s badge, stadium and city streets as inspiration for the beautiful background. The collar and and neck add an elegant look to the shirt. Marvelous! Sporting’s Stromp shirt is actually named after one of the most important men in the club’s history. Not only was Francisco Stromp a player and manager for the club, but he also helped found the club back in 1906. The shirt pays homage to Stromp and the original Sporting kit from their early years. This season’s effort is a beautifully elegant shirt, with clean lines, a standout collar and an uncluttered sponsor that doesn’t break the half and half design. 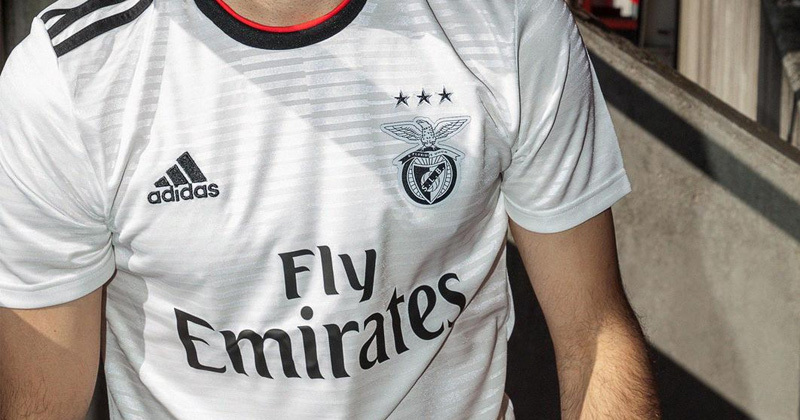 Although white is traditionally Benfica’s away shirt colour, in recent times it feels like they have used every other colour except white for their alternative kits. There have been pink kits, black kits, gold kits, orange kits, grey kits and every so often, a return to white. 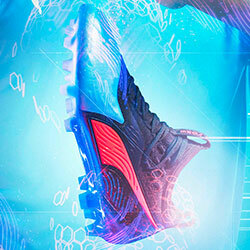 This season sees a return to tradition. This is a sleek shirt using a monochrome badge to fit in with the shirt’s design, with a little touch of Benfica red on the collar, which is quite eye-catching. A lovely, simple shirt. Nacional’s home shirt pays homage to Madeira’s favourite son, Cristiano Ronaldo. Ronaldo played for the club’s junior teams from 1995 to 1997 before moving to Sporting CP and becoming one of the game’s all time greats. 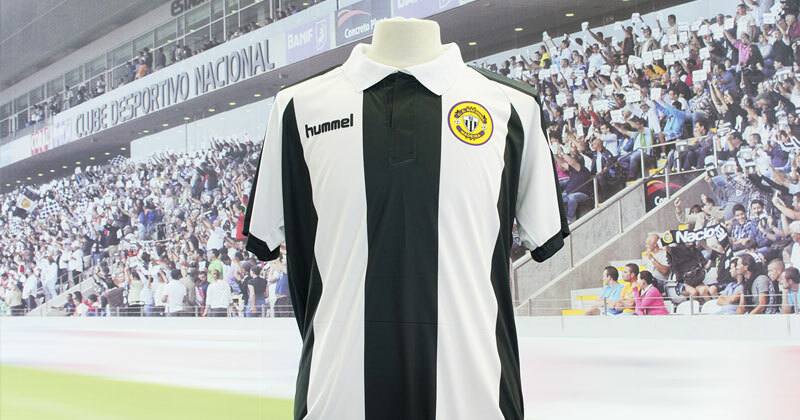 Hummel have created a sleek, uncluttered shirt that recreates the design used during those years. Desportivo das Aves had a fantastic season last year, winning the Portuguese cup for the first time in their history. However, they failed to obtain a license for European competitions so they were not permitted to participate in this season’s Europa League. To top it off, they currently sit bottom of the Portuguese league. Yet, in my opinion, they have one of the classiest shirts in the Portugal. Lacatoni are a Portuguese sportswear brand that are perhaps best known for creating shirts which have looked very similar to designs from bigger brands (check out Braga’s 2004 away shirt and see if it reminds you of anyone). Bold stripes with a red gradient are nicely done but in a move away from the usual striped shirt, the stripes do not reach the bottom of the shirt. Instead they round off, leaving space to add the club’s founding year. Braga are a team that are always on the cusp of doing good things in Portugal. A good team, that play good football in one of Portugal’s most beautiful and iconic stadiums. 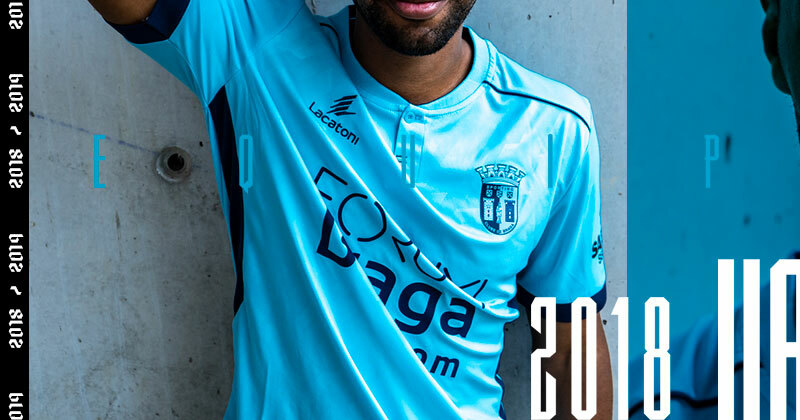 This season, Braga will playing some of their matches in this elegant, light blue shirt. 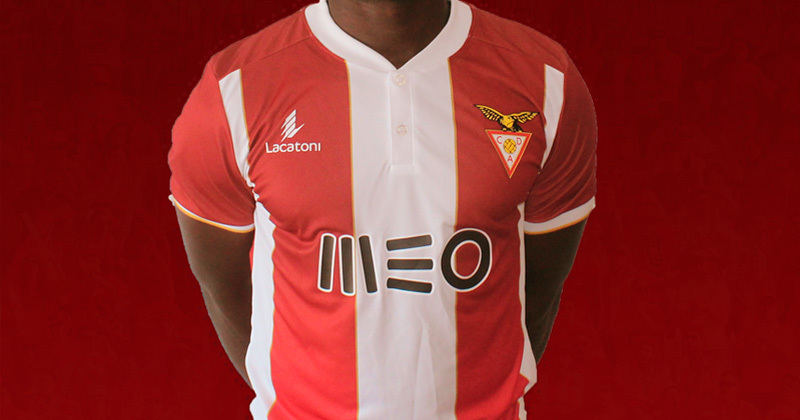 Both Braga’s badge and the sponsor have been adapted to suit the two colours used. CD Tondela is a small club that have only been playing in Portugal’s top division since 2015 having spent most of their history in the regional leagues. 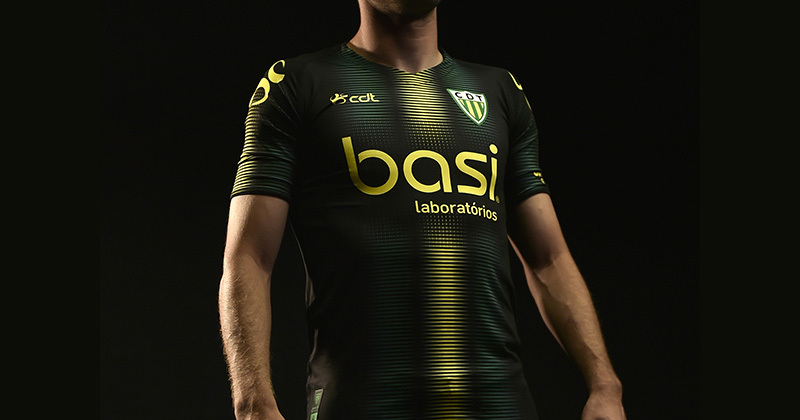 Tondela’s kits are manufactured by another Portuguese sportswear brand called CDT and their design team need to be applauded as they have come up with a stunning kit. The shirt is predominantly black, using the clubs green and yellow as neon-esque gradient stripes. This shirt certainly puts a few bigger clubs to shame. 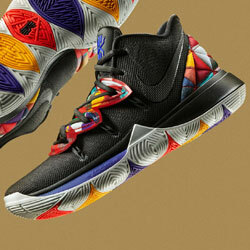 Look out for more episodes of Hidden Gems coming soon. And for the best prices on shirts across Portugal, you're already in the right place.